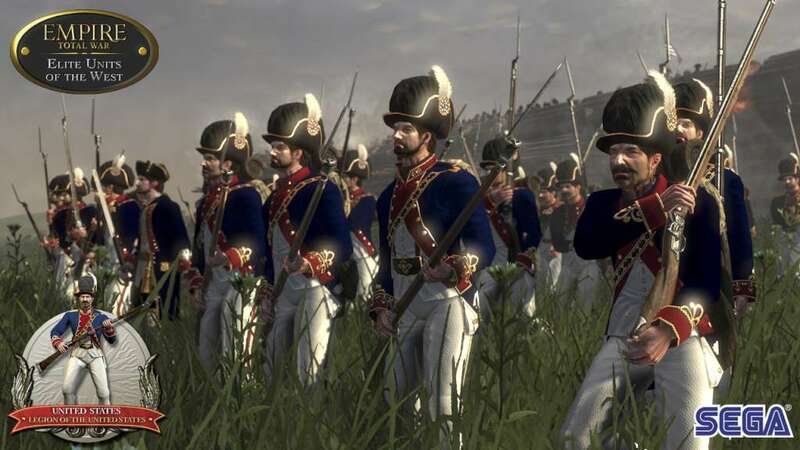 Zum Spielen wird das Hauptspiel Empire: Total War auf Steam benötigt. Expand your Empire with downloadable content! 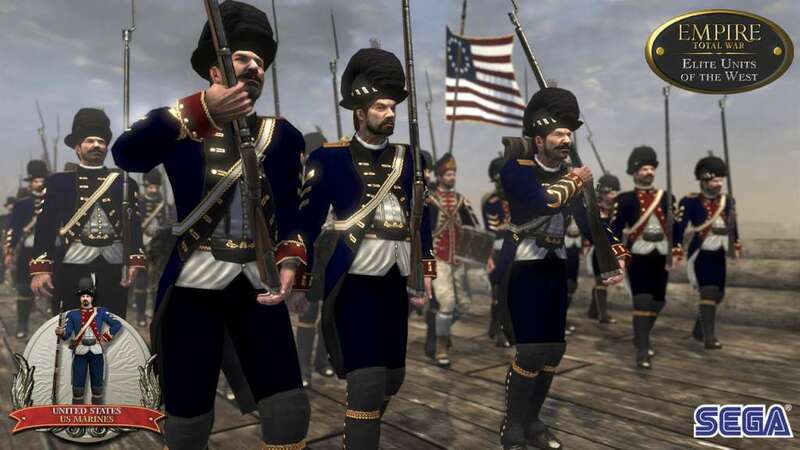 The Elite Units of the West Downloadable Content for Empire: Total War™ introduces 14 completely unique brand new units from all the major Western factions. Featuring all new infantry and cavalry units, equipped with the best weapons and having undergone the most rigorous of training, the Elite Units of the West DLC is the perfect addition to your Empire's army and will bring even more options on the battlefield to all tacticians seeking to defeat their enemies. Once you've purchased the content, you will unlock all new 14 Elite Units of the West in the single player campaign under the conditions below. They will also be available in multiplayer and single player battle modes, when playing with the appropriate faction. Hungarian Grenadiers fought in the Austrian army of the 18th century and were deliberately selected for their physical size and stature. They had to have a good throwing arm, being able to propel a grenade far enough that it wouldn't kill them! The elite British horse guards are a heavy cavalry shock troop used by the British army. Used as a battering ram to brutally smash enemy infantry lines and drive holes in enemy ranks, these were prized troops of the British army. The Swiss Guards fought for the French nation and were the prized palace guard of Louis XVI. 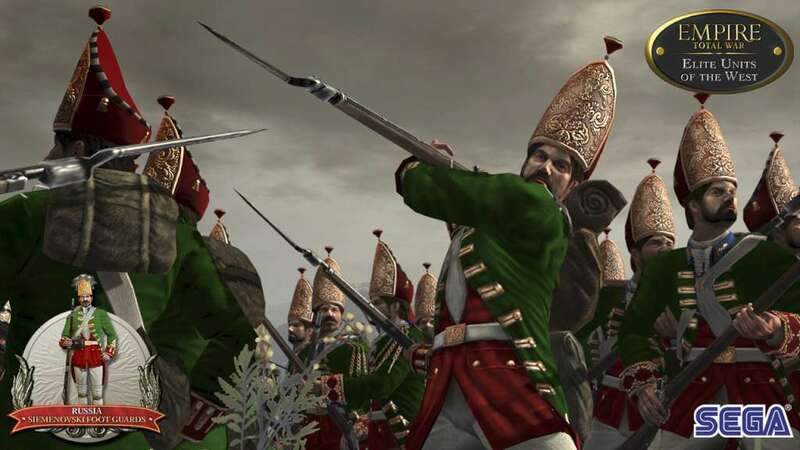 Wearing resplendent bright red uniforms and carrying smooth bore muskets they were a better calibre of heavy infantry than most of their opponents. The Blue Guards are a strong infantry unit of the United Provinces, and have been personal bodyguards to kings since the 1600s. These are a high status regiment with a long tradition of fighting and winning key battles. The Gardes du Corps were the strongest, and often, the last line of defence for many monarchs in the United Provinces. 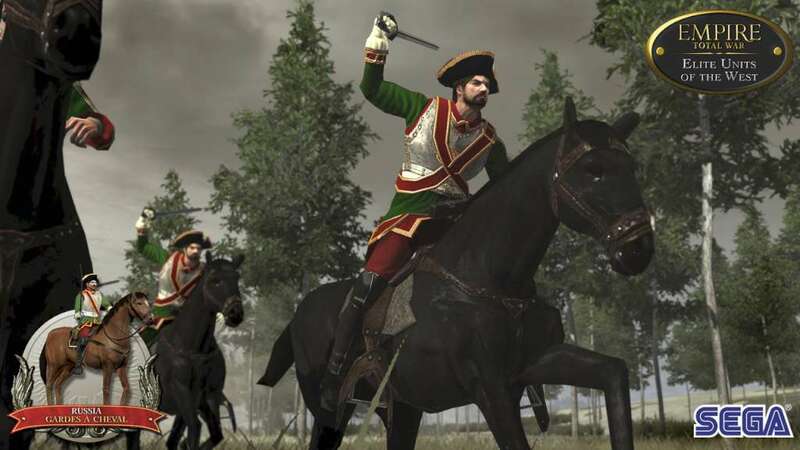 Dressed in splendid uniforms and riding heavy horse these royal bodyguard soldiers specialised in almost unstoppable charges and benefit any army with a high morale and solid combat discipline. The Polish Guard Grenadiers are a highly trained and well disciplined grenadier unit unique to the Polish army. These troops spent years being properly trained in the correct stances for priming and throwing explosives and were constantly assessed on their appearance and discipline as well as their technique. These light cavalry units were specially drawn for their shorter stature and low weight making them quick and nimble on the battlefield. Ideal for hit and run attacks and ambushing enemy formations on the move, these fast and mobile hussars specialised in running down survivors and ambushing scout parties. 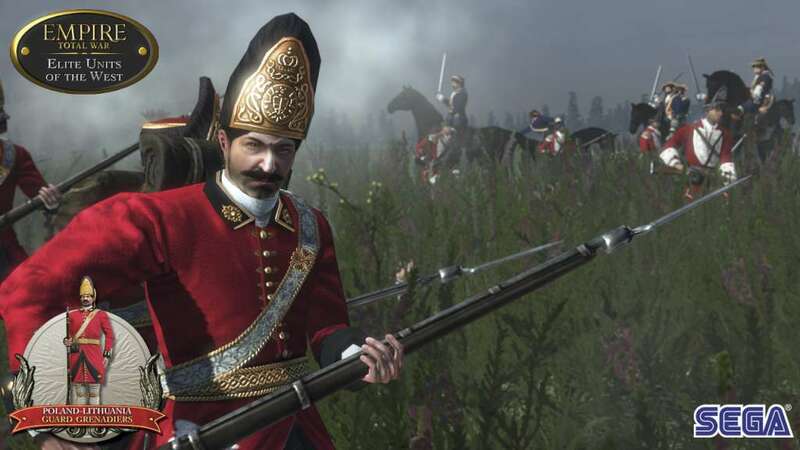 Prussian Bosniaks are an irregular mounted soldier on light horse capable of a devastating charge. These riders are historically mercenary in nature hailing from the Balkans as their name suggests. They fight with a passion and zeal as they were often paid in plunder! 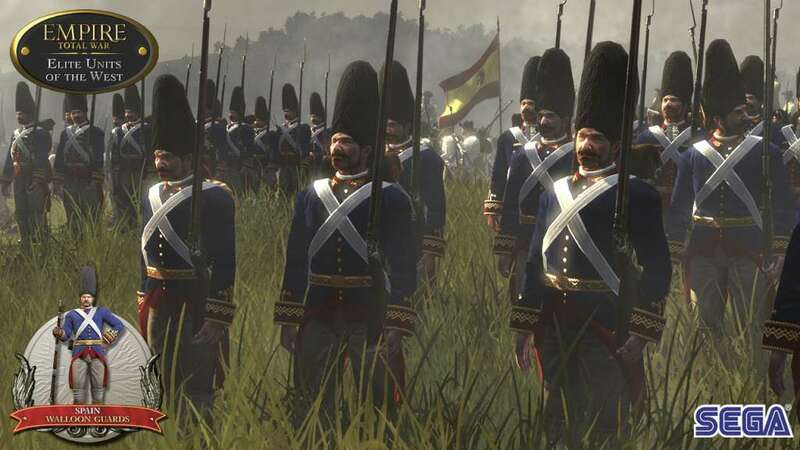 These irregular light infantry forces are a much needed counter-weight to the disciplined and organised ranks of the Prussian army. Professional scoundrels, they are particularly effective against soldiers that organised Prussian infantry find difficult to counter. An aristocratic heavy horse unit drawn from the nobility, exclusively to protect the Tsars. These rich notables were selected not for their soldiering ability but more for their relative attractiveness to Catherine the Great. These elite line infantry were far better equipped than their standard brothers and a touch more arrogant too. With splendid uniforms and far better trained they made excellent garrison soldiers, punishing popular decent harshly. These superior infantry were drawn from a region of the Spanish Empire that produced excellent soldiers. Their distinctive uniforms and colours marked them out on the battlefield as the bodyguard of kings and queens, and as effective soldiers in their own right. The United States first official organised army unit. A well drilled and trained unit of soldiers taught to fight in both the traditional European line of battle style, and a looser more irregular pattern better for confronting the native tribes of the Americas. These are some of the toughest and bravest soldiers the United States can boast. Either on land or at sea this unit is a fighting force above all else. The marines' greatest strength alongside their flexibility and speed in combat is their resolve. They will rarely if ever run from a fight once committed, often preferring to fight to the death than hand an inch of ground to the enemy. Other Requirements: The following graphics cards are not supported: ATI X1xxx series, Intel GMA series and NVIDIA 7xxx series.